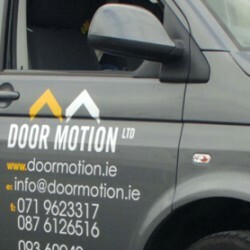 Door Motion is 100% Irish owned and was set up in 2011 by Paddy Murray and Jimmy Wynne, who have over 40 years of combined industry experience. Both passionate about their work and industry, the two directors drove the company through the end of the recession and grew it into the thriving, highly professional business it is today. Door Motion offers a comprehensive 24/7 service, with a team of leading engineering experts and skilled technicians on call to troubleshoot and respond to any issues that arise on site. We offer customised services and products to suit individual needs, meaning our clients can enjoy flexibility and purpose-built engineering solutions. Door Motion is an industry leader in Pharma and MedTech door-fitting and engineering solutions. Products range from loading dock, security and entrance systems to rapid roll, industrial, fire protection and security doors. All our services and products fully comply with the highest industry and legal requirements.